Talk about a bold move. 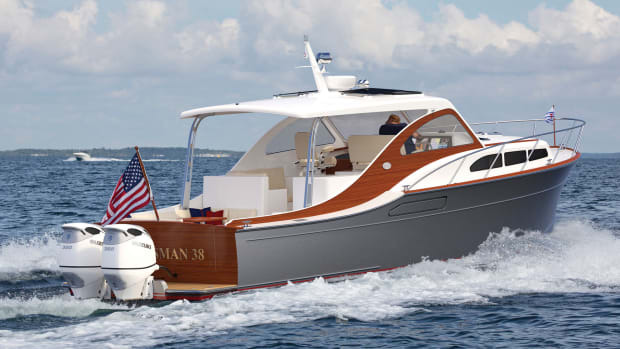 Back in 1978, Albemarle Boats took their namesake from the notoriously rough sound near their Edenton, North Carolina facility. 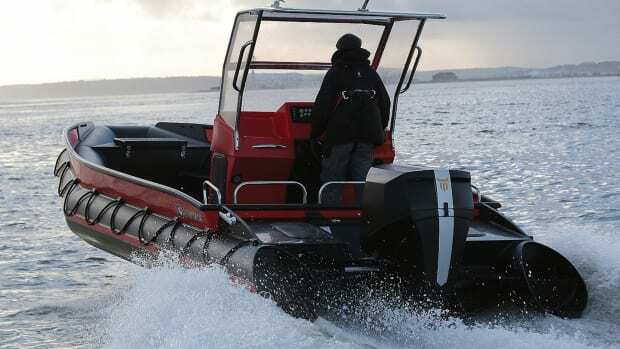 For 41 years—and more than 3,800 boats—they’ve answered the call with a line of robust, no-nonsense vessels. Recently, both the builder and their dealer network noticed the market evolving. “Customers were looking for more versatility in a family-friendly package,” according to Director of Sales and Product Development Keith Privott. 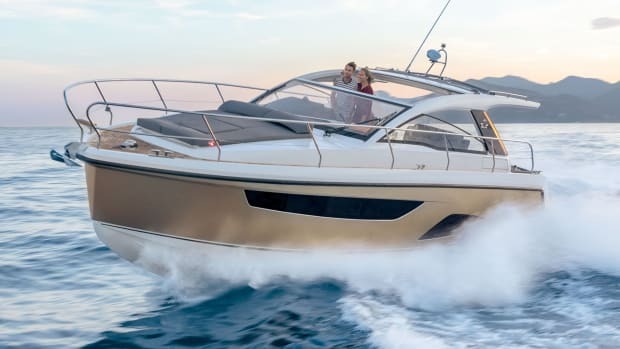 Boating still holds its place as “a way for families to get together and get away from life, but people’s lives have become busier.” The 27DC was born out of this need. 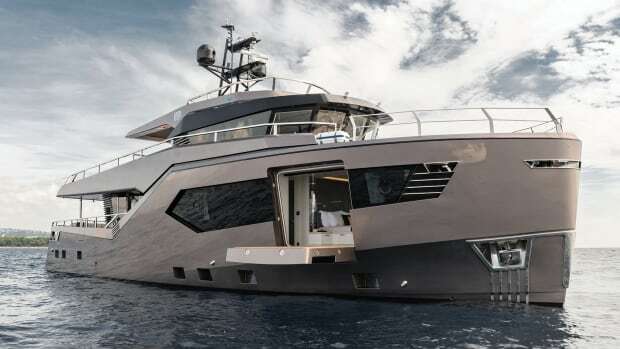 A dual-console boat may seem a departure, but Privott assured me she’s all Albemarle. 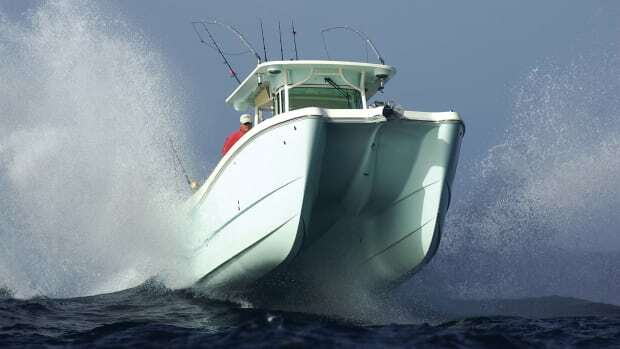 Her flared bow and unfussy profile have that classic Carolina DNA and like her siblings, she’s graced with a hand-laid, solid fiberglass hull. “There’s nothing new as far as the workmanship. 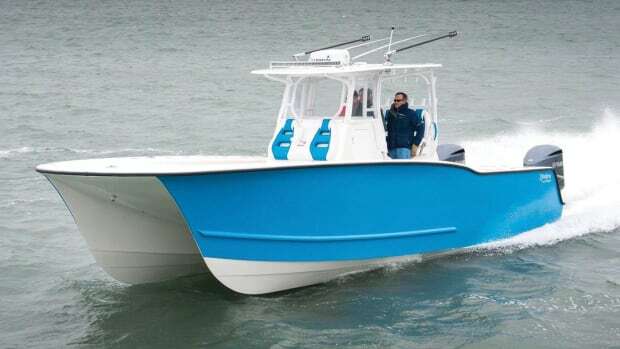 [Customers] still want a boat that’s capable of running in rough seas,” Prviott said. She’s equipped to fish with standards including a 60-gallon fishbox, tackle cabinet/rigging station and an 18-gallon livewell built into the transom. Aft-facing mezzanine seating is a fine spot for two anglers to keep an eye on the lines. I’d bet most customers will go for the optional hardtop ($17,900) with a three-sided Strataglass enclosure, ski tow point, rod holders and LED lighting, and further complete the package with optional, stowable bow and cockpit sun shades. 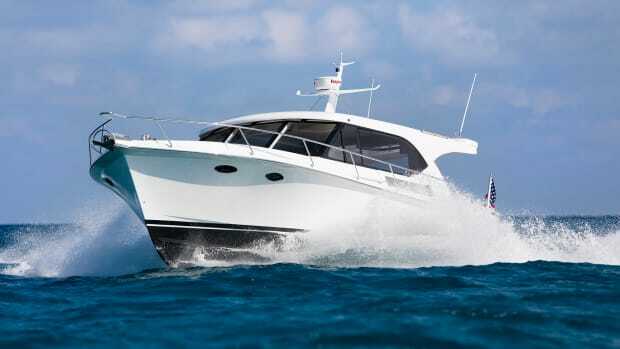 Fishing features speak to her lineage, but the layout’s amenities are what make the 27 stand out among her brethren. 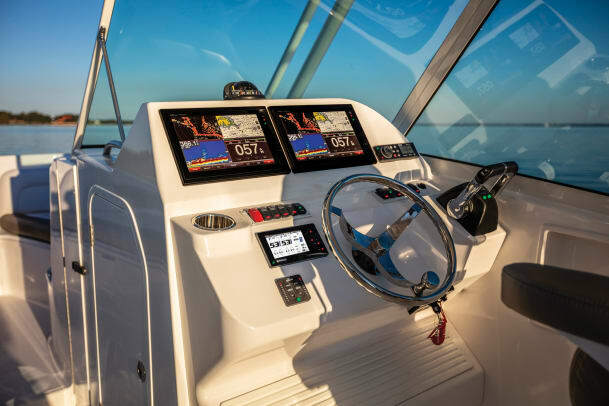 In my opinion they nailed the dual-console deck plan: The wide walkthrough is offset to port, giving the starboard helm a much larger footprint with a dash capable of housing either two 12-inch displays or one 16-inch display. A full-height windshield offers unobstructed sightlines and protection while seated or standing. And there’s seating everywhere, with room for four in the bow, another quartet on folding seats in the cockpit and two more at seats adjacent to the helm. Other standards speak to the 27’s family-friendly attributes. The swim platform is a fine place to launch waterborne activities and is easily and safely accessed via the starboard transom door. Guests boarding from the water will appreciate the dive ladder—after jumping into the drink from the gunwale, naturally—and the cockpit shower for a quick rinse-off. Five USB charging ports (bow, helm and cockpit) are at the ready and belowdecks, a 6-foot, 5-inch bunk is a fine place for kids’ nap time. 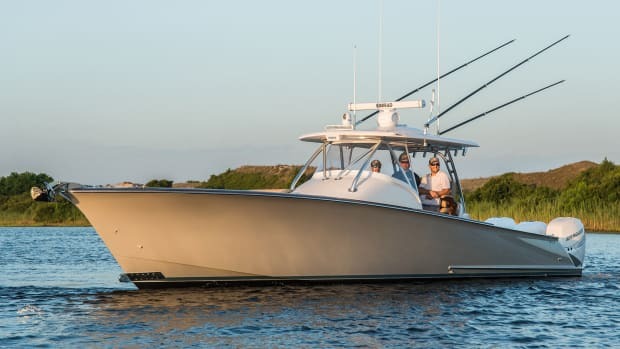 If angling takes a back seat to entertaining, a smart swap for the aforementioned tackle cabinet/rigging station is the cockpit galley package ($4,900) that includes an electric grill and refrigerator. With optional twin 250-hp Yamahas, the 27DC comes in at $178,900. 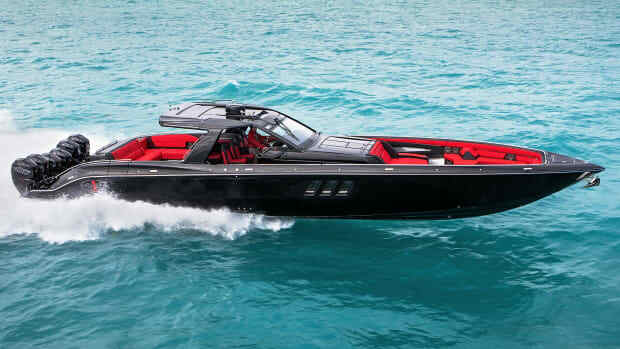 According to the builder, she’ll cruise at 30 knots, with a top end hovering around 50 with the larger outboards. Both optional and standard 200-hp Yamahas can be matched to the SeaStar Optimus 360 Joystick System ($14,995) for superior close-quarters maneuverability and station keeping. 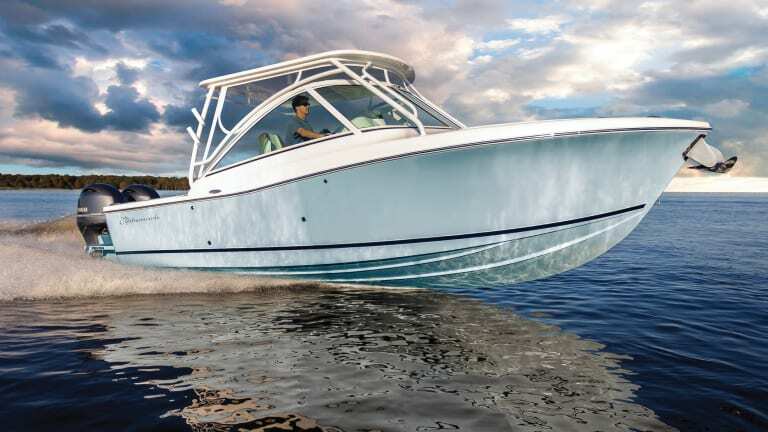 Look for the 27DC at your favorite sandbar or on the bite this summer.